Does the EU Rom have the Xunlei download engine active? Because when using the MIUI 8 Tweak in xposed for AOSP notification bar icons I see a blue bird when apps are downloaded from Play Store. I just flashed manually as with the updater app it only restarted to TWRP and made the newly downloaded ROM disappear. So I had to download again. I have a server which is optimized for China network. Up to 30Mbps(3.75MB/s). I can set up a vpn to help you accelerate the upload & download speed. Everything works fine on my Mi4c so far. is it working for "WIDGETS & DUAL APPS"? Anyone tested Mi Max 3/32? What was a problem with google play on mi pad3? 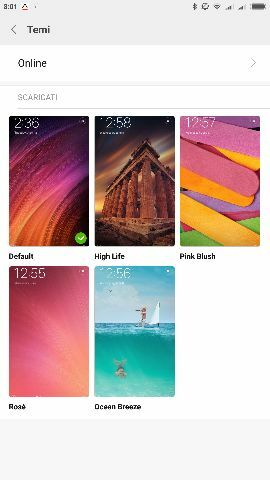 The guys in the miui forum confirmed the bug with Widgets & Dual Apps / 2nd space is still there. Please vote the bug in this forum, so that developers give more priority to this bug. The higher number of votes, the earlier will be fixed. I used dual apps in first releases of 7.0 in Mi4s. Now in whatsapp or other apps I can´t get working custom notification sounds. I have done a factory reset before installing different updates but still not working. Wipe data/cache/system/dalvik too but same result. Ciao a tutti. Che Procedura fare per aggiornamento mimix Android 7.0 ??? ?